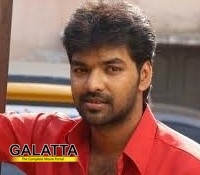 Jai set to become Podiyan! Actor Jai seems to be on a roll! His latest release Raja Rani became a super hit and his performance was appreciated! The latest news we have is that, he has signed up to play the lead in the upcoming movie Podiyan, to be directed by Manimaran of Udhayam NH4 fame. Touted to be based on friendship and politics, this upcoming movie is to go on floors by the end of January next year. The Udhayan NH4 team will be working on this project too. GV Prakash will score the music while Velraj will crank the camera and Kishore will take care of the editing. The rest of the cast is expected to be finalised soon. Stay tuned for updates! >>Nazriya Nazim makes a comeback! >>Nirav Shah enthralls at LEGEND! >>Atlee to be engaged to Priya! >>Arya is one contented man! >>50 - 50 for Raja Rani! >>Yuvan's 'Yaaradi Nee' Video Song Is Out!